SharePoint Workflow : You write a code that is too long to upload!! I want to share with you a funny situation while writing extremely long and complex SharePoint workflow. I was creating a workflow that controls deployment requests and there is a requirement to throw an approval for 9 stages. After each stage, there is couple of email notifications and web services to call. Re-write the workflow code in a way that redundant code can be removed. Increase the upload limit of 2097152 bytes. This will increase the upload limit to 5 MB instead of the default 2 MB. When I initially try to get the default value of the above values, I got empty values, so me and Microsoft support engineer assumed that empty value is actually 2 MB. I hope this will help someone out there. Of course, the best practice is to do smart coding for workflows so that the code never exceed 2 MB for performance reasons as per my talk with Microsoft engineer. Tip: How you can know the size of your workflow code? 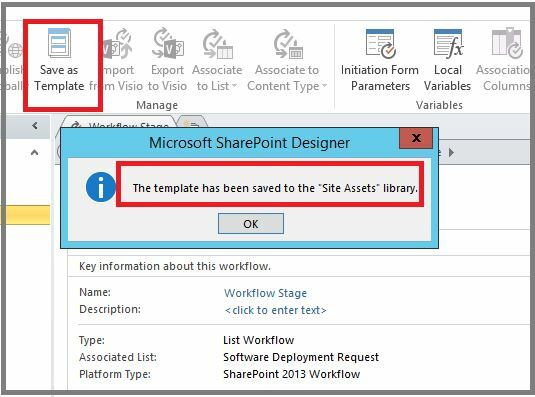 Open SharePoint designer, Go to Workflows, pick your workflow, click Save As Template. This will save the template to “Site Assets“. 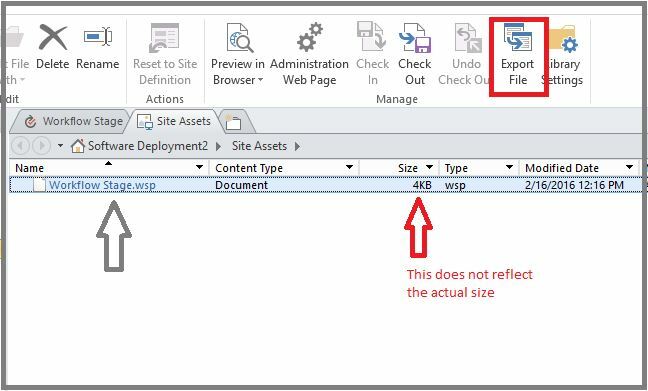 Next go to Site Assets, you will see your workflow file with WSP extension, along with its size. This size does not reflect the actual size of your workflow code. Now go and click Export File, and save it to your desktop.